It is the first Wednesday of the month....Winner Wednesday time!! Join me and lots of other author bloggers as we share about one of our products and give one away to a lucky winner. Check out all the other giveaways by clicking on Jennifer at A Dab of Glue Will Do's post. Also, if you want to join us next month, contact Jennifer for more information. Who doesn't love winning free products, especially this time of the year? Today I am giving away my number match cards. I designed these for kindergarten so the numbers focus on 1-30. There are several possibilities of what to do with these cards so I thought I would highlight a few of them. 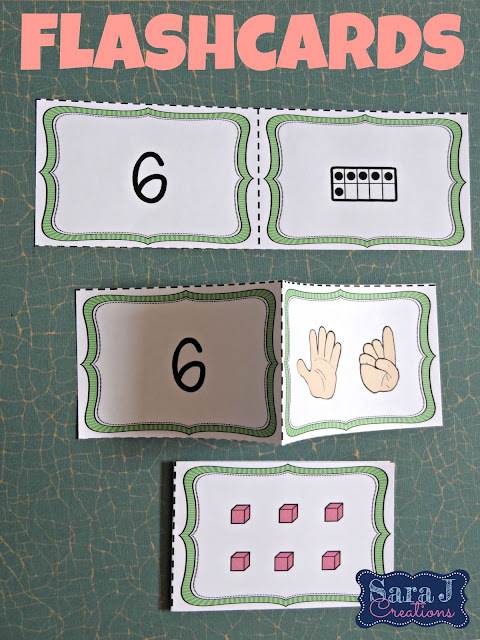 For each number (1-30), there are number cards and then four different ways to represent the number - picture, fingers or dice, tens frames and base ten blocks. 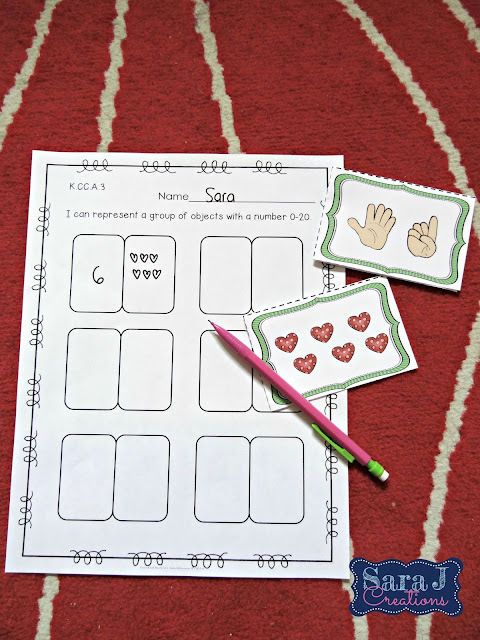 These cards allow students to practice different ways to make the same number. 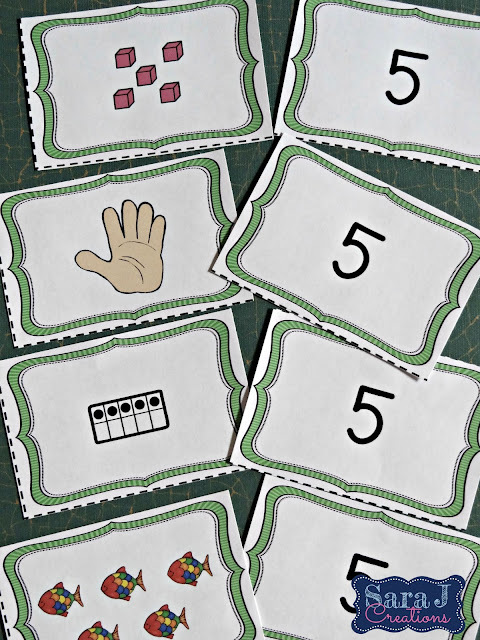 My initial plan was to have these cards used for games such as Go Fish and Memory for my friend's kindergarten class. 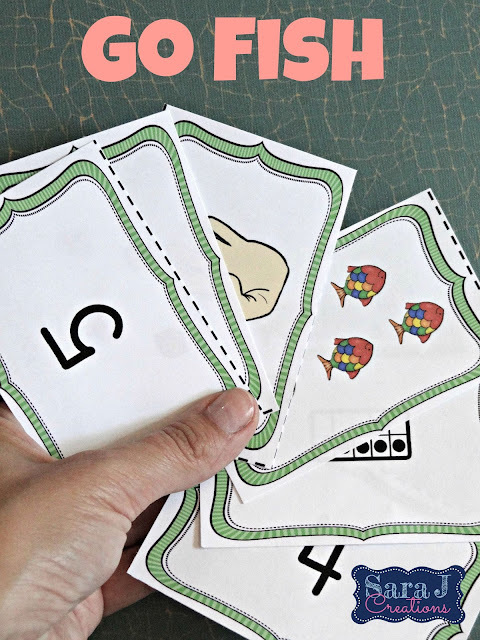 Once the students knew how to play each game, the teacher could make different groups of cards for them to use. This would allow the teacher to differentiate for the students and make sure the students were practicing the numbers they needed work on. 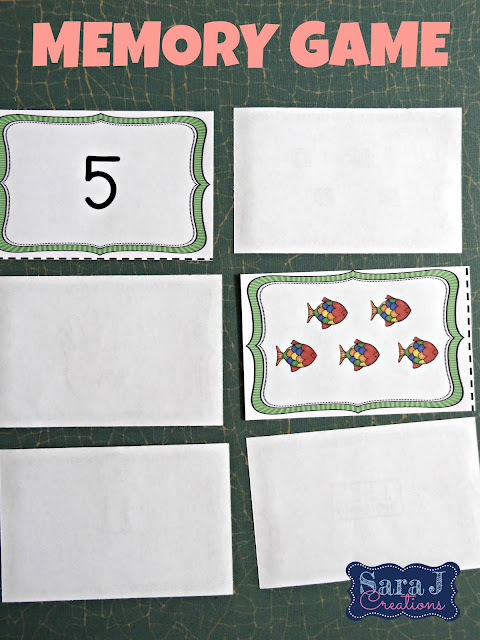 Another option would be to create flashcards using these number cards. Instead of cutting the cards apart, cut them horizontally so that the number and the picture are still attached. Then fold them in half and laminate for durability. These are just three ideas for these cards. The possibilities are endless!!! Since I was designing these for a math center that the students would do individually, my teacher friend wanted some accountability to make sure the students were matching the numbers correctly. To do this, I created 14 different recording sheets. 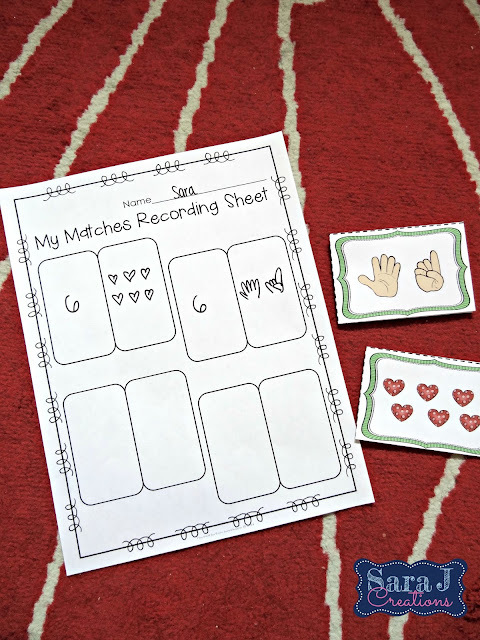 These sheets not only allow for differentiation by having a different amount that each student needs to record, but they also come with different titles. There are generic forms (My Recording Sheet) and then there are Common Core aligned sheets where I wrote the standard number at the top and then turned the standard into a kid friendly I can statement. With 14 different options, you can choose the sheet that works best and fits your needs, or you can choose to just use the cards with no recording sheet option. Completely up to you!!! Do you want to win a set of these cards? Just fill out the rafflecopter below for your chance to win. Didn't win but still want a set of cards? Click HERE to grab your Number Match Cards.